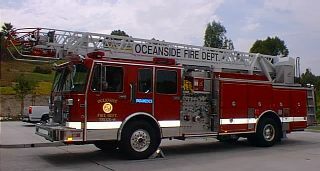 Wes retired from active duty with the Oceanside Fire Department on July 7, 2001, ending a 26-year career. Wes's last assignment was to Fire Station 4, C Platoon, where he worked Truck 4 with Engineer Russ Parks, Senior Firefighter/Paramedic Guy Goodwin and Firefighter/Paramedic Ian Shelton, and Medic 4, staffed by Lloyd Martinez and Mitch Sandoval. Thanks, guys, for all of your efforts in keeping me out of trouble! At that time the Department responded to about 10,000 incidents per year; over 60% of those were emergency medical incidents. The department has provided paramedic service since 1976, and has utilized a variety of delivery systems. 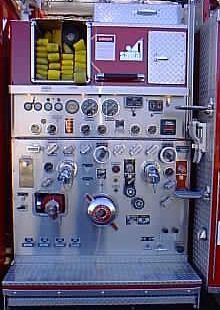 When Wes retired, each engine or truck company had at least one paramedic and one EMT; we referred to these as First-Response Units. Support and transportation were provided by four ambulances, each staffed by one Firefighter/Paramedic and one EMT. The city was divided into seven districts, staffed by a minimum of 26 personnel (down from 29).